What is the most interesting video game you have played? The most interesting video game I have ever played is without a doubt Bloodborne. 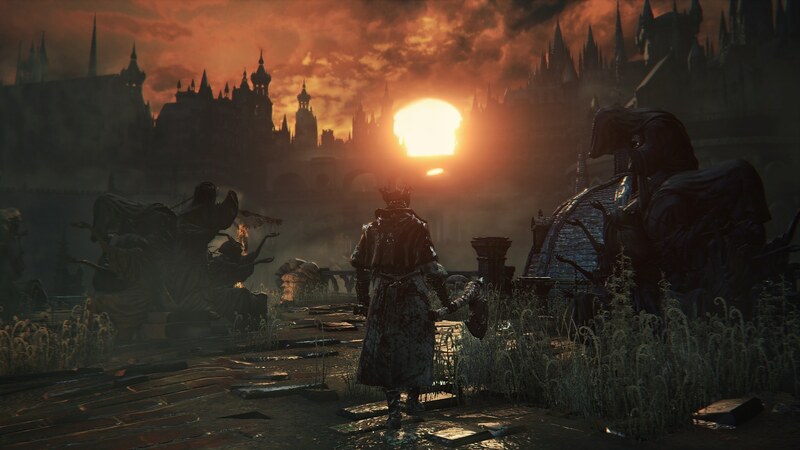 When I think of Bloodborne, two things come to mind: Challenge and Wonder. Playing this game has been an intense ride of emotions. I am a badass hunter of beasts. I am terrified of what lurks around the corner and I am mind blown by the sheer amount of detail of its dark intricate world. Curiously I explore every nook and cranny to uncover its deep story and mystery yet i am weary and cautious of the unknown. To start, the technical aspects of this game are astonishing. From the breathtaking design of Victorian themed Yharnam to the twisted beasts that stalk its streets, every detail down to the hair is masterfully crafted. The atmospheric sounds keep you at a steady unease the entire game. Quiet alleys where only the wet thump of your footsteps is heard and distant screeches pull you into the rather unwelcoming world. The gameplay and combat is second to none. Strategic action based combat coupled with exploration of labyrinth like areas completely immerse you within the confines of the never ending dream or...nightmare. 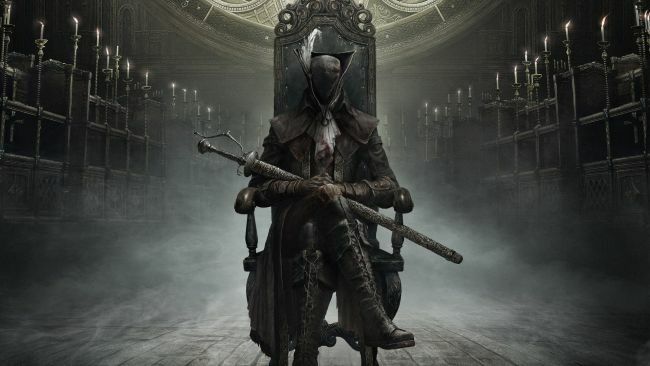 Although Bloodborne is a technical masterpiece, what really makes Bloodborne interesting is its deep world and lore. After creating your character, you are thrown into a massive world with no tutorial or direction and forced to adapt to every situation and explore every corner to decipher the story. Even after hours and hours of gameplay I still had no clue as to what this game was about. I scoured the wiki's and youtube to understand the lore and it all finally made sense to me. Honestly if I hadn't done this I probably would have beaten the game only knowing about 10% of what was going on. Through hunting for insight (item you can use for various purposes) in Bloodborne’s treacherous world I have gained insight into my own life at this stage. I see myself to be confident in life yet nervous for the sake of my successful survival. Like my hunter-character I have gained the tools and knowledge to overcome my life trials, yet I am unfocused and frantic when they spring upon me. Life is a set of patterns yet unfolds unpredictably. Internally and externally fighting every day, I die at night only to do it again and again. Waking up in the serene hunter’s dream is synonymous with the same serenity I feel waking before the crack of dawn. Preparing for the day through meditation in that pocket of peace before taking on its challenges. Through playing such a challenging yet rewarding game, I have learned that i must immerse myself in whatever I do. Challenges will always arise when something is worth doing. By learning the patterns to these challenges, I can adapt and overcome them finally. Through the effort of adaptation many new discoveries can be found, ones that may even lead you back to familiar places. These places or challenges are now something you know how to easily maneuver. Wonderous places that can now be explored deeply. I must improve upon myself by learning the ins and outs of everything I deal with, the lore or reasons behind these things is much more than meets the eye and the connections are spiritual. I should inquisitive to the smallest details, they may uncover something much greater than normally perceived. And I should compliment inquisitiveness with creativity. The speculation from the Bloodborne community on the game's lore is absolutely mind blowing. Without the collective and creative minds of other player's taking the same journey I may not have had the time to be exposed to all its hidden secrets that cohesively make up an epic story. Never before have I thought a video game can be so deeply engrossing, especially when it’s story is so convoluted. Any game that causes you to do research outside of the game itself and reflect upon your own life is definitely a candidate for most interesting game ever. The most interesting game for me now is Mobile Legends, because this is the most popular game. There are several reasons why I like Mobile Legends, and why this game is so popular in my country for the past 2 years. For people who have never played similar games there is no need to worry. Because of the simple way to play and lots of tutorials to play it when you first open the game. Starting from how to shoot and hit, determine the right direction of movement, use skills, play with other players, to how to buy items. This game is considered as Dota 2 in the mobile version, because from all aspects of the game it is similar but much easier to play than Dota 2. The size of the mobile game legends is relatively small. Not as big as other MOBA games, which is only about 100 megabytes. Far from similar games, which can at least spend more than 500 megabytes just to download the game. Mobile Legends can also be played on mobile phones that have low specifications. By having a virtual pad feature, players can easily control all movements of a hero or character. To walk, shoot, hit, issue skill abilities and more. There is no need to direct your finger to the enemy because there is an auto-aim feature in the virtual pad that automatically adjusts the movement of the characters we use. People when playing a game must see the graphic side first. If the graph is good, the player will be interested in playing it. This Mobile Legends game has good graphics in terms of characters, maps, items, skill effects and more. His movements were not stiff when he beat the enemy. You could say it's almost perfect for a mobile game. This game provides features so that we can play with people we know in all game modes. Can consist of 2 to 10 players. You do this by activating Facebook or e-mail ID in this game so that all our friends play this game can also be connected with us. If you are already connected you can invite them to play together to work together to win the match and feel the excitement of this game together with a chat in game feature so that you can still communicate with your teammates and the opposing team. One of the most prominent advantages of Mobile Legends is its hero characters made from various countries. Unlike other Moba games that can kill all enemies alone without the help of a teammate. 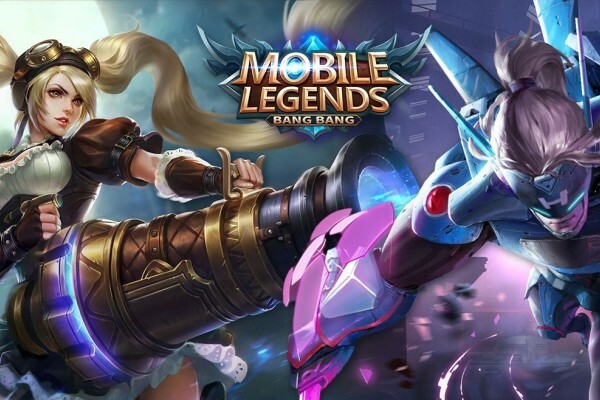 In Mobile Legends, all you need is teamwork and strategy, without it all is very difficult to win the game in this Mobile Legends game. Well, so if you want to force yourself to play solo, you will be killed very easily by other players. 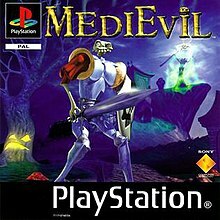 The most interesting game for me, was Medievil for Playstation. It was the first game I ever played that could be considered a role playing game, and it was massive fun. There were ton's of puzzles, and an interesting story line, that ended up keeping me and my siblings engaged for months, until we finally beat it. They made one for the second Playstation as well, and one for psp I believe. None were as good as the first to me. It has a mystique, and nostalgia about it that I will never forget. I have been playing video games since 2008, I am 21 now, but enjoyed my childhood. I started with nokia phone, playing java games and then shifted to PC directly and after that I got the chance to play on Android. I have completed a bunch of series and titles and I have a list of my favorite games. Though the games are pretty old now and can run on most of the laptop or PC out there. I own a basic laptop has pretty low graphics and a weak processor still I played at 15-20 fps. My hobby! These are my favorite games of all time. I have learned a lot from this games, yeah these all games have some message hidden in them. Try to find one and you will enjoy all the games. I used to be active in playing some video games when I was in my highschool years. I would say that one of the most interesting games I have played before is the classic House of the Living dead. I played it a lot in an arcade before. I even save money and spent more than an hour on playing it. It is interesting for me because of the zombie characters. Specially the protoypes that you will need to kill/destroy to finish a level or scene. It is a challenging game and better if played with a partner or two players. That way someone will be helping you in defeating all those zombies/enemies. Each series has different story, gameplay, graphics style. The songs inside it are top notch too from my personal opinion. I think FF is a manifestation of what many human wants in their life but because they won't be able to experience or get something like that in their life, they created Final Fantasy. The story of the Mass Effect saga is just gorgeus. Mass Effect is a Sci-Fi game from Ubisoft. Sweet graphics, nice dialogs, good missions, exelent fights, different ends, personality based interaction with NPC in an involving enviroment. Many races, languages, technology, weapons, you also have a crew. The combat methods are unique, a mix of turn fight with a real time fight. Im not used to play single, but this game caughts me! The best video game ever is unreal tournament. It's almost 20 years old and I still play it.. There are even online servers available..
How do you see Musing's future?Which academic course covers indepth study of money laundering using crypto currencies?Do you usually check food labels before buying or only after?What do you look out for in a person before you consider him or her to be intelligent?How do you see life on Steemit before and after HF20?Some people are angry that their questions/answers are not being upvoted by @musing, what do you have to say to such people?Have you seen the movie "Bohemian Rhapsody"? What did you think?If I were to buy a new laptop what would you recommend?Rhetorical question: you did not contribute to the development of this app, you did not delegate to this incentive. You arrived here when @musing got 1m delegation, so why do you feel entitled to an upvote? Is it stated anywhere that @musing must upvote your answers/questions ?Are you taking in consideration reputation when it comes to evaluate someone on Steemit?